First, heat Mini Pancakes in the microwave according to package instructions. While pancakes cool, peel and slice a kiwi into 7-8 wedges. Set the scene with a bit of brown sugar at the bottom of your plate, and place Mini Pancakes in a vertical line to create the tree trunk. Then arrange kiwi slices and grapes to finish. 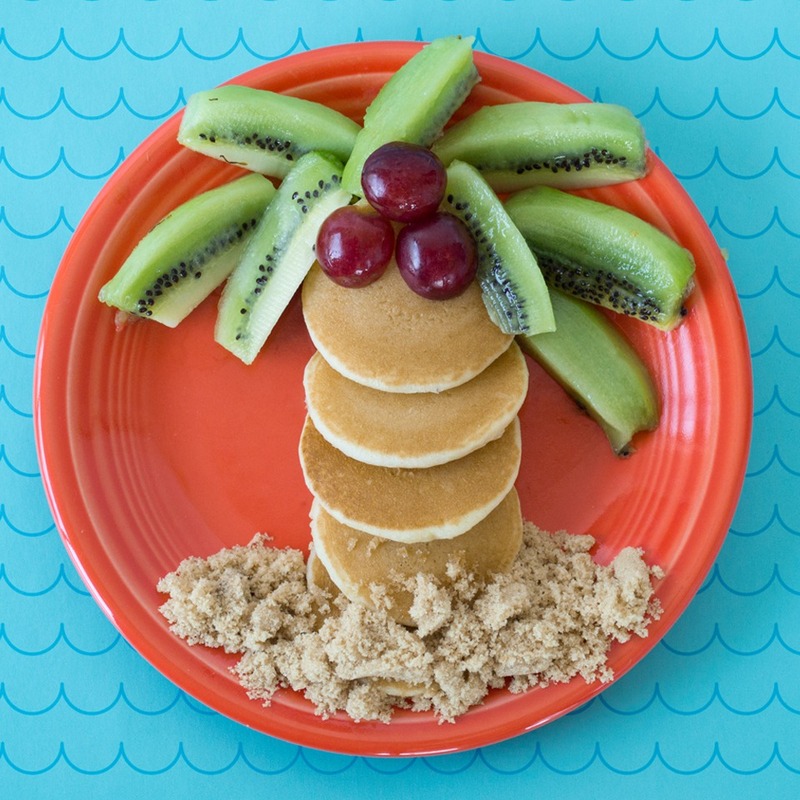 Pair with a glass of tropical fruit juice for the ultimate beachy breakfast!